Young Dramatic Arts Theatre Company is the high quality Theatre Company established by ITW some years ago to identify talented young actors, directors and technicians and give them the opportunity to develop their skills. Membership is open to young people from 15 - 18 years of age with entry by audition. 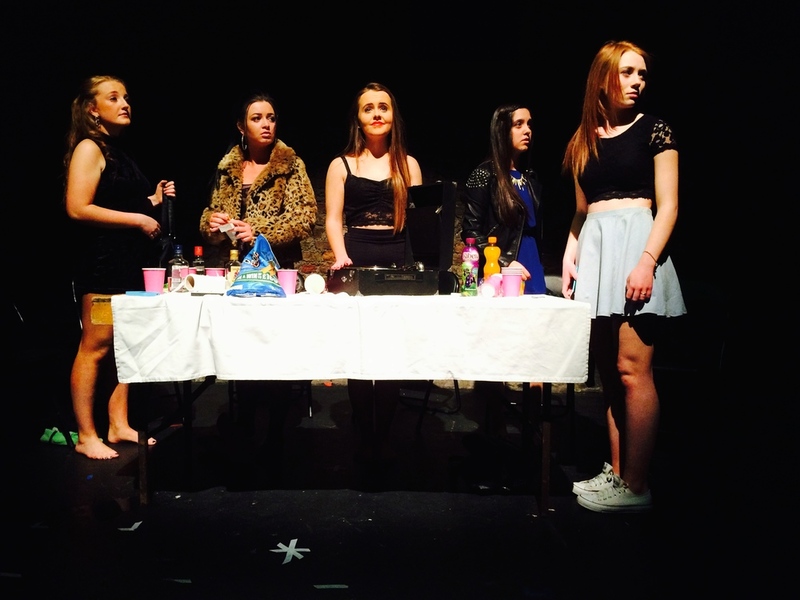 Each Thursday evening there are acting workshops and rehearsals at ITW Studios, Clonskeagh. 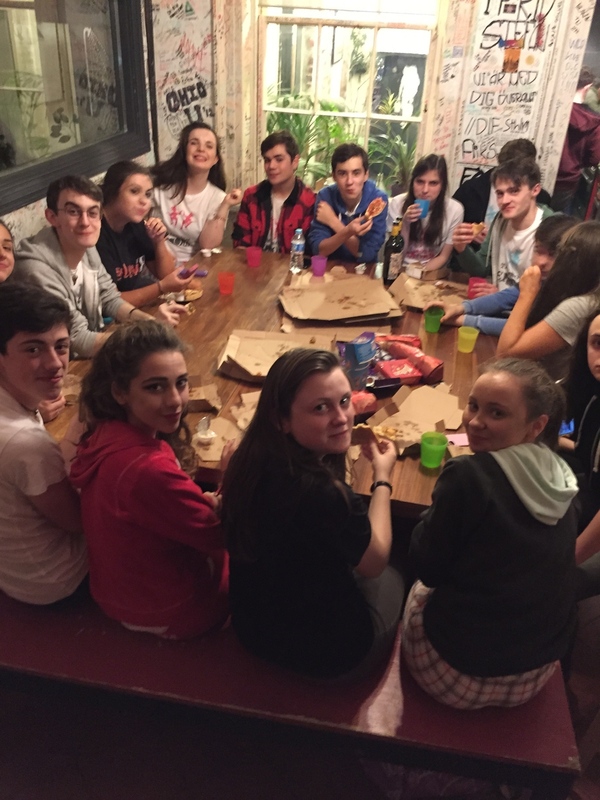 Our Young Dramatic Arts Theatre Company year is divided into two sections. The first part of the year from September to November is spent working on our Shakespeare Production which we will showcase in November. Previous productions include shortened productions of Much Ado About Nothing at ITW Studios, The Comedy of Errors in The MAC, Belfast and ITW Studios and this year we are panning to perform an hour long version of As You Like It in a Dublin Theatre as part of a festival of Shakespeare in November. From then we start work on our National Theatre Connections Festival Play which will be the premiere of a new play which we will perform in April in ITW Studios and then in May in The Lyric Theatre, Belfast. 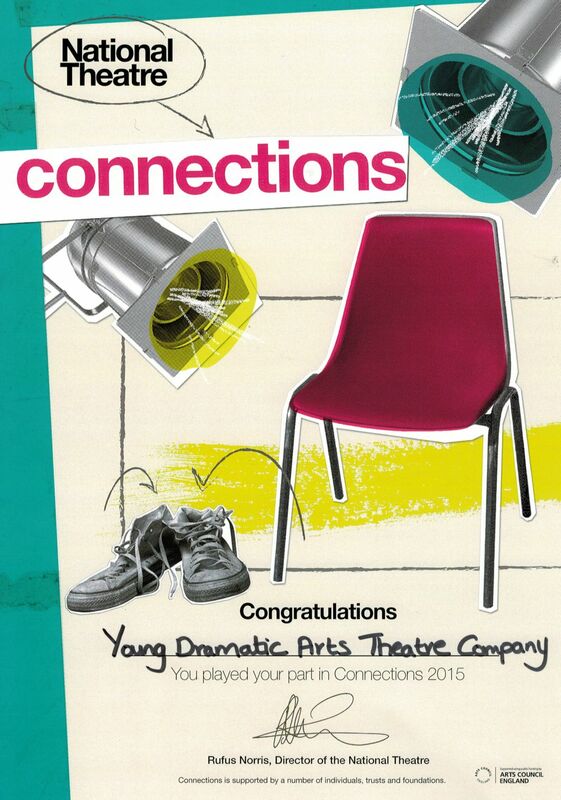 We have been participating in the National Theatre Connections Festival for 15 years and it is a highlight of our year. The members are expected to be fully involved in every aspect of the process from choosing the plays to be produced, to operating and designing the lighting and sound, creating the sets and props, and working on stage and behind the scenes. They participate in youth theatre festivals at home and away, including the Senior Shakespeare Festival performance in the first part of the year and the group's entry to the Connections Festival in the latter part of the year. For this reason, a high level of commitment and enthusiasm is vital to retain a place in Young Dramatic Arts Theatre Company. The company is run for and by the members and to this end a committee has been formed. The Theatre Company employ facilitators and directors to steer their work and they fund the Company through fundraising and sponsorship. Find us on Facebook and keep in touch! Our older members can then progress into the Independent Youth Theatre, our original theatre group for young adults, who now have a thriving company in the city centre. A fantastic training ground for young actors; many of our alumni have gone on to have successful careers as actors and playwrights!